The team at Highlight Homes is particularly excited about our newest venture in the City of Brookhaven. We’ve begun construction on a home that involves a marriage of our very best architectural, engineering, renovation and new construction talents. Rather than involve a complete tear-down of an existing home in order to gain access to a superlative home site in one of Atlanta’s most sought-after neighborhoods, we found a hidden gem in a standing property. Providing an excellent structure to build upon, the ranch-style home at 1463 Hearst Drive, has been stripped to its studs on the existing first floor. 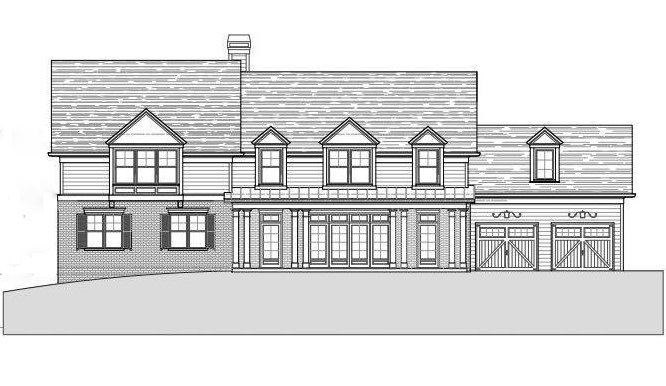 This will now serve as the main level, which will eventually boast an open floorplan with jaw-dropping gourmet kitchen, expansive family room that opens to the dining space, bonus room (which could serve as a stunning sunroom), half bath and highly desirable master suite-on-main. Upon that base, we will build UP by incorporating a second-floor addition. This level will showcase a SECOND master bedroom with walk-in closet and in-suite bathroom, two more bedrooms and bathrooms, plus a flexible space which could serve as a playroom or media space. For even more room to spread out, the home will also feature a finished basement and huge covered deck with fireplace – ideal for entertaining. Initially offered at $1,050,000, this home will definitely be one to watch! Poised between the sparkling waters of Silver Lake and Peachtree Golf Club, the home will offer close proximity to upscale shopping and dining at the positively chic Town Brookhaven ‘live, work, play’ district. It is also convenient to Peachtree Road for an easy commute into Downtown Atlanta. School age children living here will have an opportunity to attend Montgomery Elementary (which scores a 10 out of 10 from GreatSchools for test scores! ), as well as Chamblee Middle and Chamblee Charter High Schools. A number of excellent private schools are also located nearby, including The Marist School, Pace Academy, The Lovett School, St. Pius X. Catholic High School and more. Best of all, it’s located just down the street from another distinctive house, expertly crafted by Highlight Homes. LEARN MORE ABOUT THE CITY OF BROOKHAVEN! To enjoy a semi-custom experience, we invite prospective homebuyers to get “in on the ground floor” in order to select all of the distinctive finishes such as woodwork, cabinetry, paint colors, flooring and more that will make this one-of-a-kind home uniquely your own. To learn more, contact Melanie Pourhassan of Keller Williams Realty at 404-531-5700 (office) or 678-873-9232 (cell). She can also be reached via e-mail at MelanieHP@kw.com. For more information about Highlight Homes – including a chance to view other custom homes and luxury renovations in their online portfolio – please visit www.highlighthomesga.com.